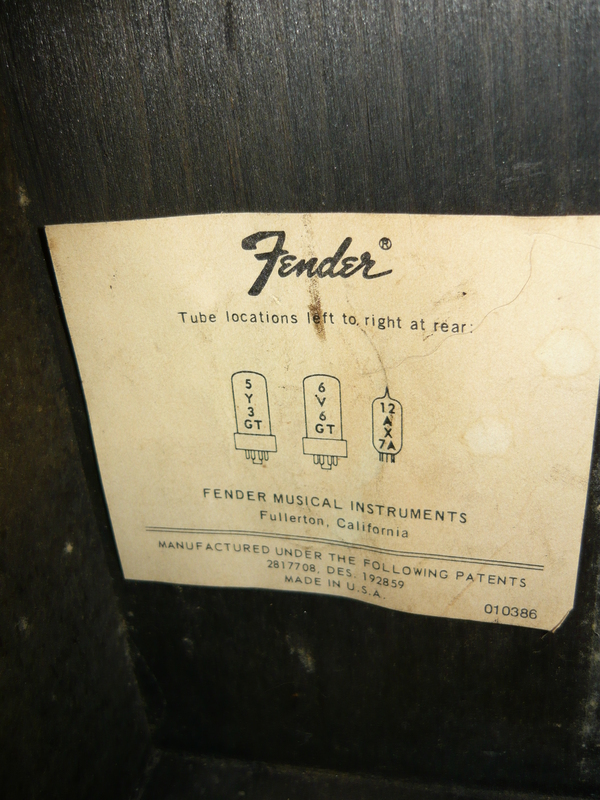 A Silverface Fender Champ amp, serial # A34003, date of manufacture August 29th 1972, was purchased on Ebay by Jessica, a young lady just starting out in the music industry here on the NSW Central Coast, and is the subject of this blog. This was a smart purchase on Jessica’s part, but required a major overhaul to bring the amp up to performance standard, which of course we were happy to do. This amp was purchased off Ebay from the USA, so first and foremost we needed to replace the 110V power transformer with a 240V primary replica Champ transformer, plus install a 240V 3-core power cable and a 3-pin plug, including the installation of a dedicated chassis earth connection. The fuse also needed to be changed to a suitable value for 240V operation. 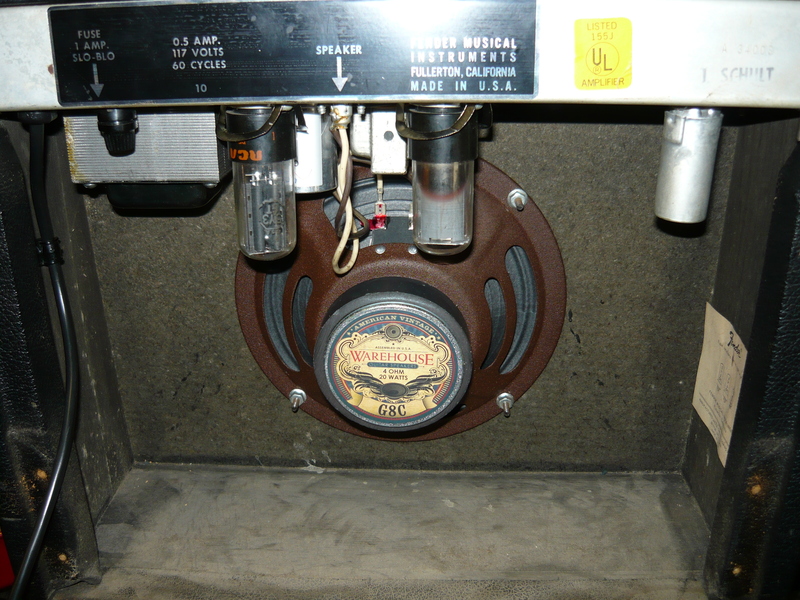 Next item on the agenda was the speaker – the original 8-inch alnico magnet speaker was doing this amp no favours at all. There are replacement/upgrade speakers for the Champ available from Jensen, Weber & WGS. We chose the WGS model, which is a significant upgrade compared to the originals. Seriously folks, WGS are making some great replacement and/or upgrade speakers at very competitive prices. 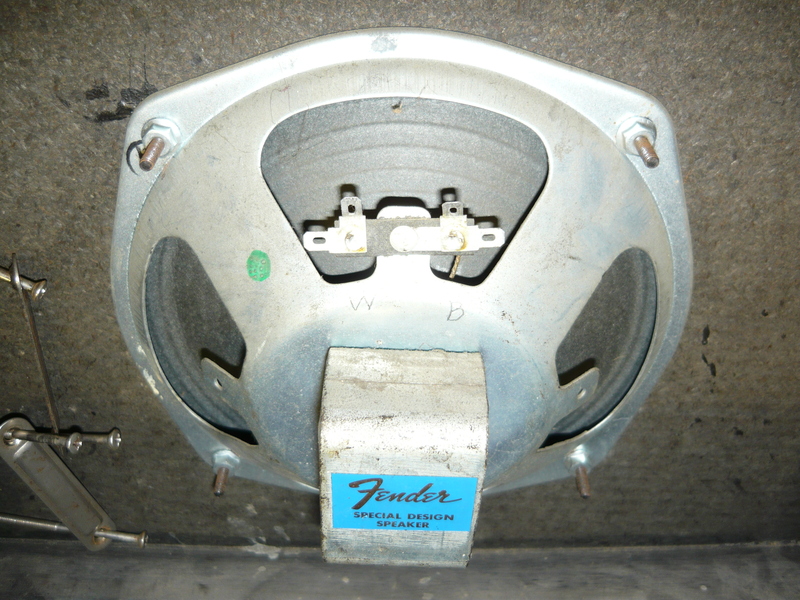 We did have to enlarge the speaker mounting holes somewhat, to mount the new speaker on the existing bolts. 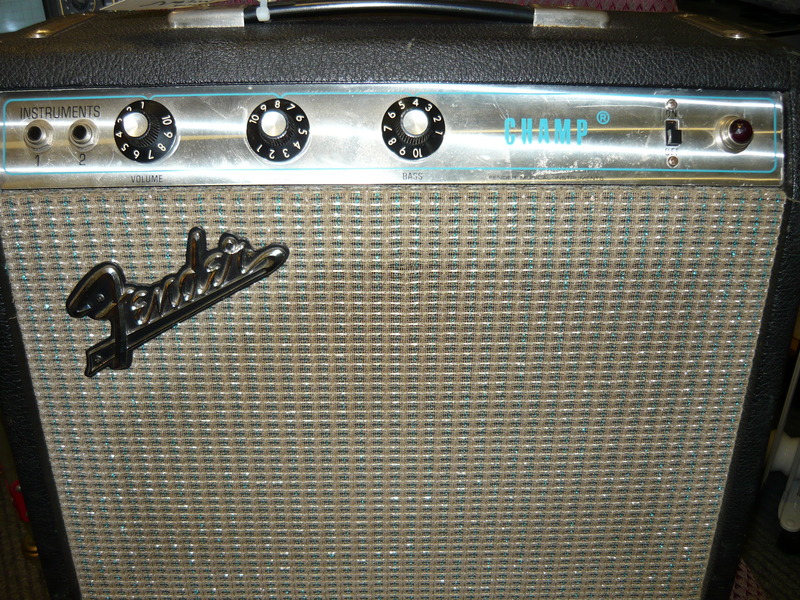 The Champ was now much louder and more toneful than the day it left the factory. There were just some relatively minor issues remaining to be corrected, ie noisy electronics. The pots and jacks were cleaned, as always, with Caig FaderLube and DeOxit. The power supply capcitors were actually 4 x 20uF/475V DC in a single chassis-mounting metal can. 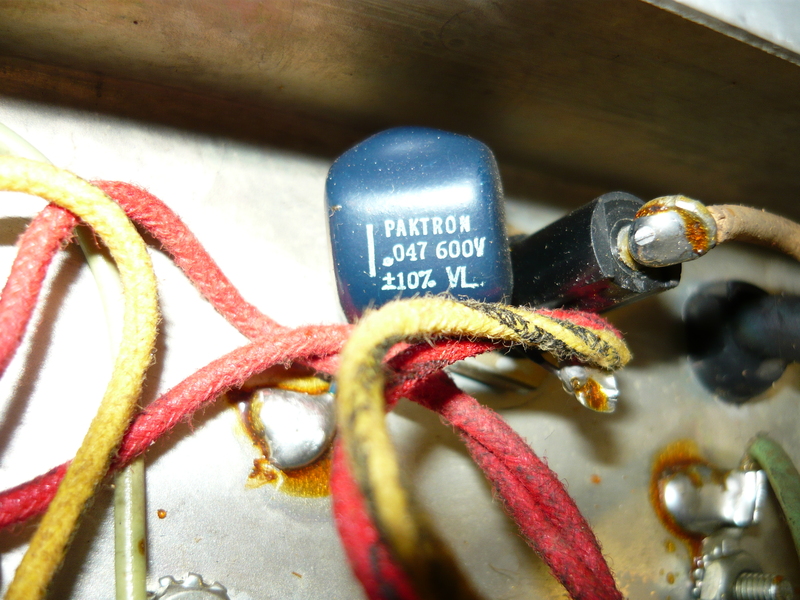 Fortunately, these capacitors are being manufactured again by CE Distribution (USA), so we were able to replace this unit, and maintain the original power supply design and appearance. The photo on the left shows a capacitor that should be automatically removed before running these amps on the 240V mains. All that remained now to complete the overhaul, was to install spring clips to the octal valve sockets (to prevent upside-down valves from falling out), and to carry out power output and electrical safety tests. The amp delivered 4 watts into 4 ohms, at the onset of clipping. 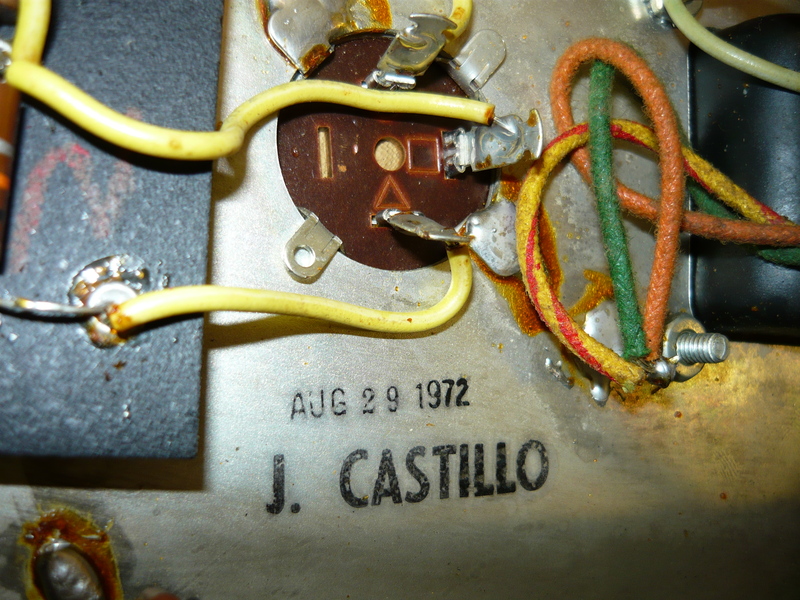 The photo on the right shows you how we could date this amp so precisely – a Fender factory worker named J. Castillo date stamped the amp AUG 29 1972 ! regards, IR. This entry was posted on September 4, 2012 at 12:44 pm and is filed under Amp Repair, Amps. You can follow any responses to this entry through the RSS 2.0 feed. You can leave a response, or trackback from your own site.